This municipality in the region of the Alt Empordà occupies the southern part of the Cap de Creus peninsula and the northern part of the Gulf of Roses (1), a unique combination of natural and scenic beauty (2). 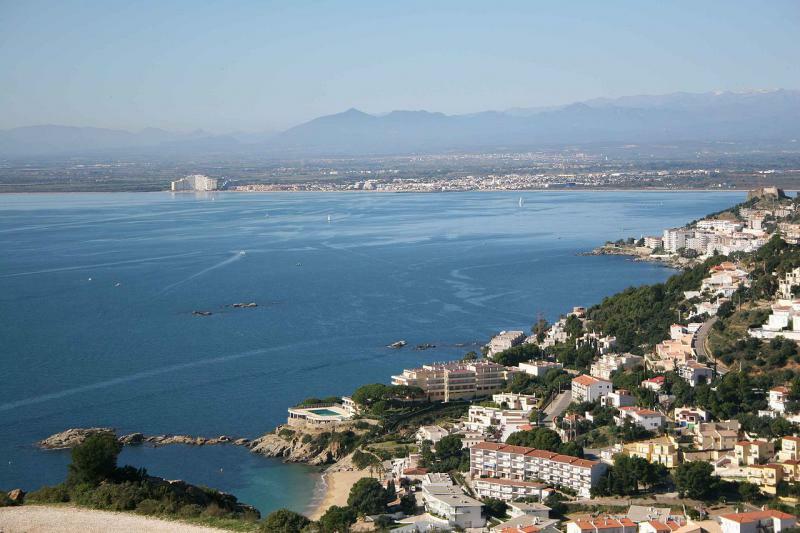 A first order touristic centre, and with two busy ports (one fishing and the other for sports), Roses is a fundamental town within the touristic and geographic community of the Costa Brava (3). Natural landscapes and the scenery it presents one with are the jewel in the crown of this area: essential to understand the essence of the Empordà and the northern coast of Catalonia. Situated in the Cap de Creus Natural Park, the coast of Roses with its cliffs, shallow and crystalline water and beaches and coves of fine sand are ideal to enjoy the essence of the Mediterranean. Nautical activities such as scuba diving or kayaking are amongst the most demanded and appreciated by visitors to the area. A total of 13,844 hectares make up the Cap de Creus Natural Park, the first maritime-terrestrial natural park of Catalonia. The diversity of animal and vegetative species and the wealth of archaeological sites both on land and in the sea lend themselves to diving, exploring and planning excursions. Fresh fish is the indisputable King of Roses’s cuisine. Suquet de peix, the typical dish of the locality shares prominence with olive oil, anchovies or meat, all of which are top quality products. This without forgetting the young wines, particularly white and rosé, prepared in the region’s cellars along with cava and garnatxa.